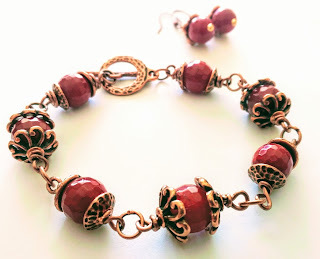 Faceted Burgundy Agate Bracelet and Earrings Set, "Wine Berry"
Handmade wire wrapped natural stone 8" bracelet. 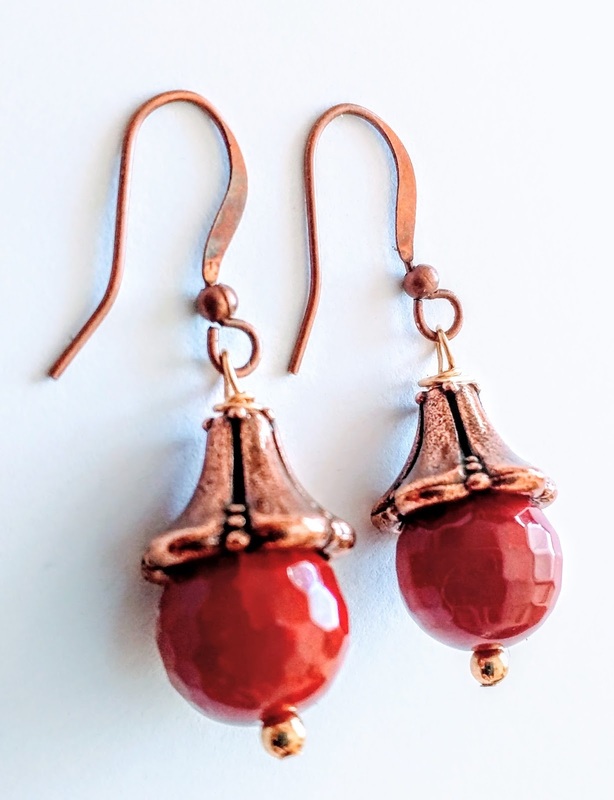 Faceted 10 mm burgundy red Agate beads set in antique copper metal elements plus FREE matching earrings. $38 plus shipping and handling. Agate is a grounding stone, bringing about an emotional, physical and intellectual balance. Agate brings harmony in your life - it is a soothing and calming stone. FREE Matching Earrings with your purchase of the bracelet. 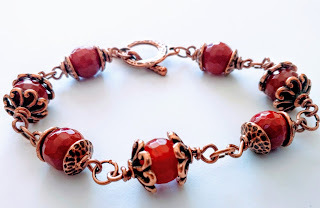 Yours, Anna Ivanova, Jewelry Designer at Beadly Things.